Find out more about our church and what we have to offer. Bethel Church, under the direction of Pastor John McCall, is a place where individuals and families can come and experience the love and saving grace of Jesus Christ. We believe in the Bible as the inspired word of God and road map for successful living. 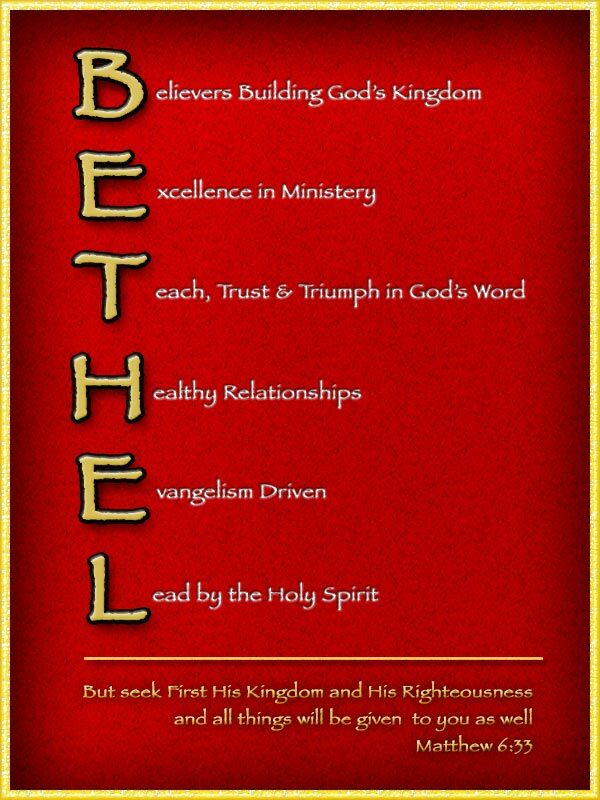 The Bethel Church is a growing church, utilizing innovative methods to outreach in the community and placing a strong emphasis on worship, evangelism, discipleship, fellowship, ministry and prayer. Through prayer and faith in God, we are steadily growing, lifting God’s name in all our endeavors, and leading others to the life-giving, life-changing hope found only in Jesus Christ. May God Bless You Abundantly.